the walking dead. . HD Wallpaper and background images in the the walking dead club tagged: the walking dead season 2 andrew lincoln rick grimes jon bernthal shane walsh lori grimes carl grimes glenn dale horvath. 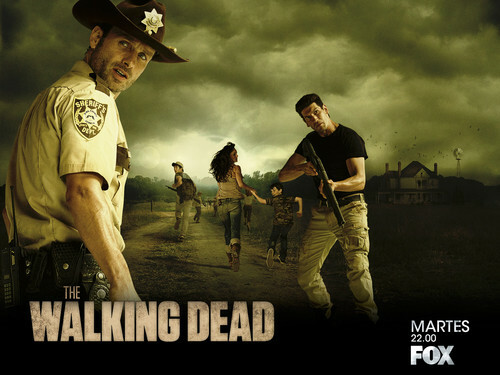 This the walking dead wallpaper contains fedora, merasa topi, homburg, stetson, trilby, fedora merasa topi homburg, pendayung, leghorn, panama, topi panama, pelaut, skimmer, topi jerami, pendayung leghorn, panama topi, hat kampanye, and kampanye topi. There might also be jepret hat penuh, snap brim topi, topi gaun, topi tinggi, topi opera, topi sutra, cerobong asap, topi, puncak, berang-berang, berpakaian topi, opera topi, beaver, berang-berang, castor, and castor berang-berang.